The Chapter has recently launched a capital campaign to build a significant endowment in support of our long-term leadership and success at Cornell. Via the Campaign, Actives are eager to support the Chapter's solid foundation of strength and to share the benefits of Delta Chi with future Cornellians. Additionally, Alumni have, and continue, to donate many hours of service to the Chapter and to the Campaign, which thus far has received $670,000 in pledges (with a minimum goal of $1.2 million) from a small group of alumni. For more information, refer to the distributed brochure, which is viewable via the brotherhood portal. The pledge form can be found here. 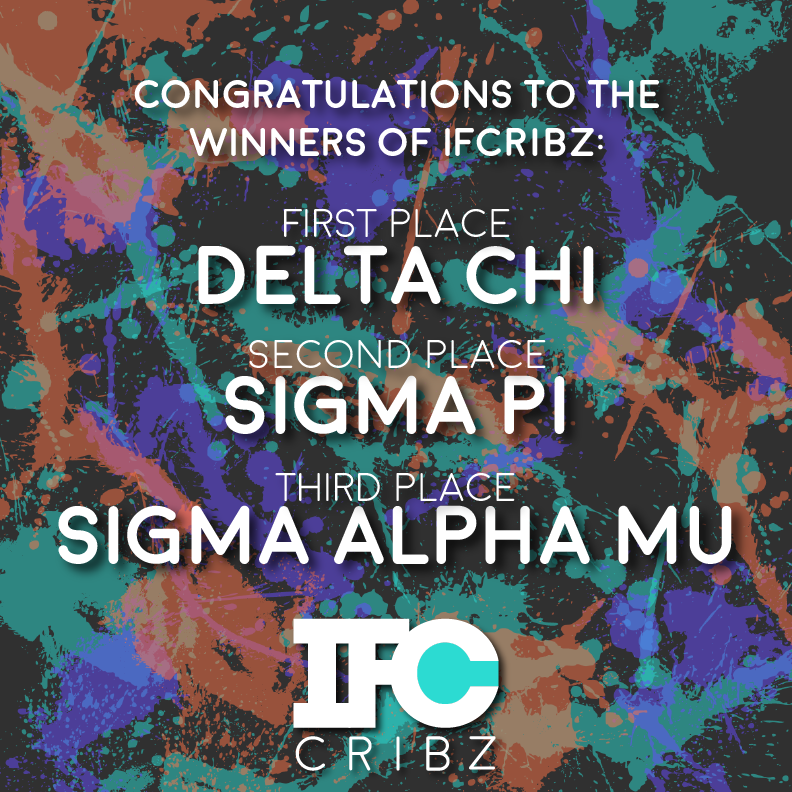 Thank you to all alumni, parents, and Delta Chi supporters who watched and liked our IFCribz video last semester! The Cornell Chapter of Delta Chi will be donating the $1,000 award, earned from Cornell's Slope Media Group, to our philanthropy The V Foundation for Cancer Research. The video, as seen below, gained nearly 11.5 thousand views.
" This week, brothers of Delta Chi Fraternity celebrated their win in Slope Media Group’s IFC Cribz video contest. The competition, which asked chapters to garner support for videos about each of their respective houses, helped to familiarize students across campus with the living arrangements enjoyed by members of the IFC community. The contest’s rules stated that the chapter whose video gained the most likes on Facebook would win $1,000 to give to their charity of choice. At 456 likes, Delta Chi rose to the top and attained this honor. “I would like to thank Slope Media for coordinating the IFC Cribz competition. Our chapter is very excited to donate the prize of $1,000 to the V Foundation for Cancer Research, our nationally supported philanthropy organization” said Chris Miller, Delta Chi president. The Jimmy V foundation, founded by college basketball coach Jim Valvano, has awarded over $170 million in cancer research grants because of donations like the $1,000 it will soon receive from Slope Media Group. After a busy week of recruitment, the Delta Chi brotherhood has officially welcomed 18 students into the Associate Member Class of 2017. This year's Associate Member Class represents a broad variety of geographies, backgrounds, and interests, with associate members hailing from areas as nearby as upstate New York and as far-reaching as Beijing, China. The brotherhood is eager and excited to witness the new Associate Member Class unite in the values of the Fraternity: friendship, character, justice, and education. Please join One Love Foundation on November 11th from 3-5PM in 100 Savage Hall for a One Love Escalation (film) screening and discussion, hosted by Tim Buttigieg (Delta Chi Vice President and One Love Campus Facilitator), to learn more about this growing issue and what we can do as college students to spread awareness and work toward solutions. Roll On The Knoll Update: Over $2,500 Raised! Thanks to everyone who came out and supported us! It was a great event and raised over $2,500 for Cayuga's Watchers. Special shout out and thanks to Paulitics, Sweekuh, WAZ, and Jak Lizard for their performances. We appreciate your generous support! On Saturday 10/15 at 12PM, Delta Chi hosts Roll On The Knoll, our annual philanthropy concert. This year, all proceeds benefit Cayuga's Watchers. Learn about the great things they're doing here and purchase tickets for $10 at the door or via Venmo through @DXRollontheKnoll2016. Include NetID and greek affiliation, if applicable. 12:30PM | DJ Sweekuh is the event's headliner! : https://soundcloud.com/sweekuh. 2:00PM | Ellis Wazeter of Alpha Delta Phi will also be performing! Read about WAZ at http://www.thewildmagazine.com/blog/waz-music-interview/. 2:30PM | Jak Lizard of 99Sublime: a collective of artists rooted in the dialectical conversation to be had over music, visual art, design and all things inherently human. 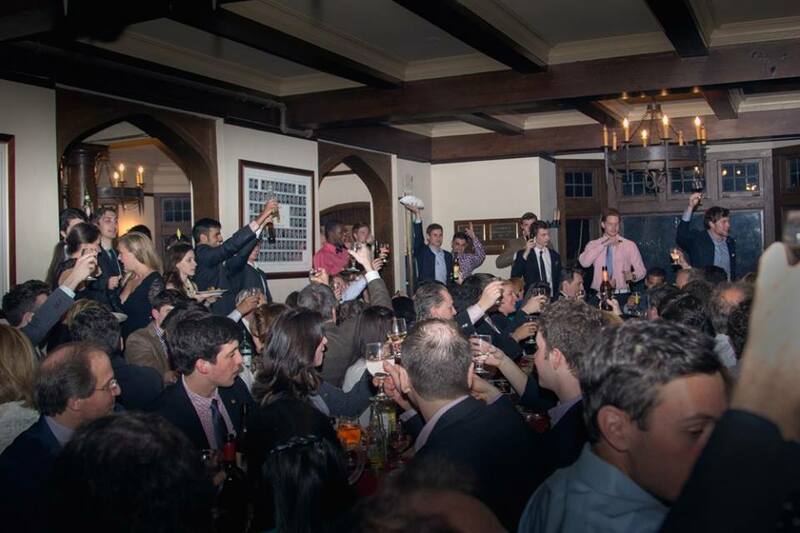 On May 14th, actives and alumni united to celebrate our 8th annual Bowes Dinner. The event is always a special time, and we look forward to reconvening with alumni next year. Special thanks to graduating seniors Will Bitsky, Noah Tulsky, and Austin Hartley, who worked to organize this year's event. In the IFC's "I Am Greek" campaign, Paul Russell '19 walks us through his story of coming to Cornell with no intentions of joining a fraternity and ultimately having an incredible experience during his Spring semester of freshman year. The video campaign was recorded in the recently finished Seth (Delta Chi, '79) and Beth Klarman Humanities Building. This year, we're growing out our facial hair and participating in Movember to spread awareness for men's health. In fewer than three weeks, we've raised over $1500, and we're hoping to reach our goal of $2000 by the end of the month. Please donate by visiting http://moteam.co/delta-chi-cornell. Thanks for your support. "Cornell administrators and donors broke ground on 23 May 2013 for Klarman Hall, the first new building for the humanities on central campus since Goldwin Smith Hall opened in 1905. Klarman expressed his belief in 'the importance of a well-rounded liberal arts education' and a core philanthropic belief he and Beth share in 'the importance of making connections -- when talented people come together and are exposed to ideas, untold good can result.' The $61 million project is being funded entirely by philanthropy, and the Klarman Family Foundation provided the lead gift." Read more about the Seth '79 and Beth Klarman Humanities Building here. Brendan Nunan '16 has launched an engineering project team, CUApp Development, which will develop a smartphone app each semester to be made available on Apple's App Store. Brendan and CUApp Dev's other founders hope the project team will encourage smartphone app development education and unite student-innovators of different academic backgrounds. Check out the Cornell Daily Sun's article on CUApp Dev here: http://cornellsun.com/blog/2014/09/07/cornell-app-development-offers-training-for-designers/. A.J. Preller is now the second Cornell Delta Chi to be named the GM of a Major League Baseball Franchise, joining his roommate Jon Daniels '99 who currently heads the Texas Rangers organization. Read more at the San Diego Tribune, and check out a video interview of Preller and Daniels on Fox Sports San Diego. As a brotherhood, we can never forget that we would not be where we are today without the support of our parents. To thank our parents for all they do and share with them a slice of our college experience, we hosted the 8th annual Delta Chi Parents Weekend where we welcomed over fifty parents and family members of the active brothers to The Knoll this past April. The weekend was a great success, and we look forward to seeing old and new faces next year.